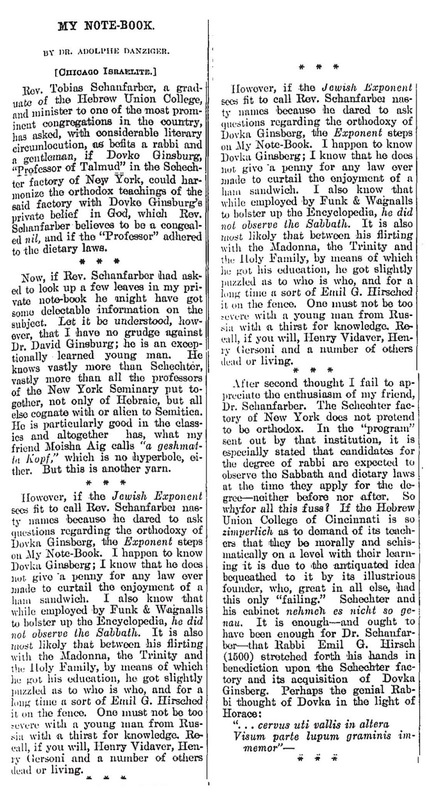 At one point he calls him "Dr. David Ginsburg"
Louis Ginzberg's starting date at JTS is sometimes given as 1902 and other times as 1903 (Wikipedia has both!). 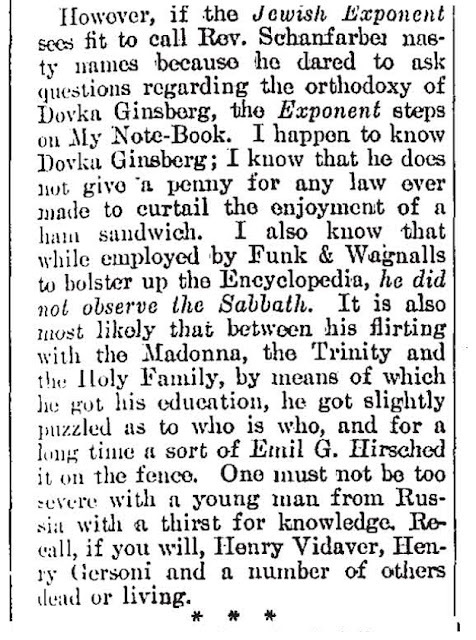 My search for a David Ginzberg or Ginsberg or Ginsburg turned up nothing useful. 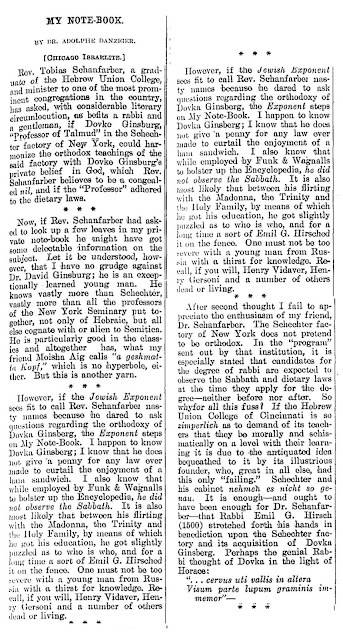 The only reason I can think of for Danziger's use of the names "David" and "Dovka" for Louis is that maybe he was sarcastically seeking to identify him with the meshumad scholar Christian David Ginsburg (who never taught at JTS). But given Danziger's own sketchy career, perhaps he should not have been casting the first stone. Really love the site. Great to see some new posts! 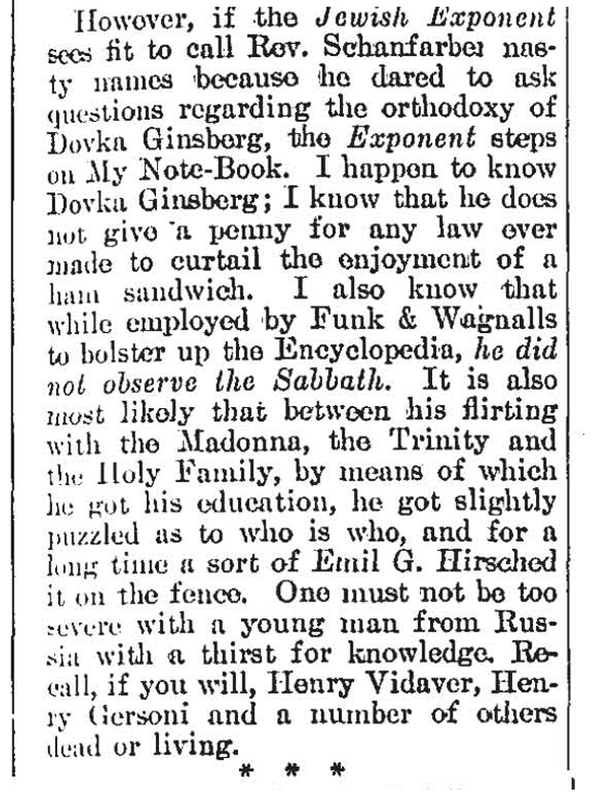 Yes, I find the *Christian* David Ginsburg explanation the most likely one: he's snidely pretending to find some confusion between them.